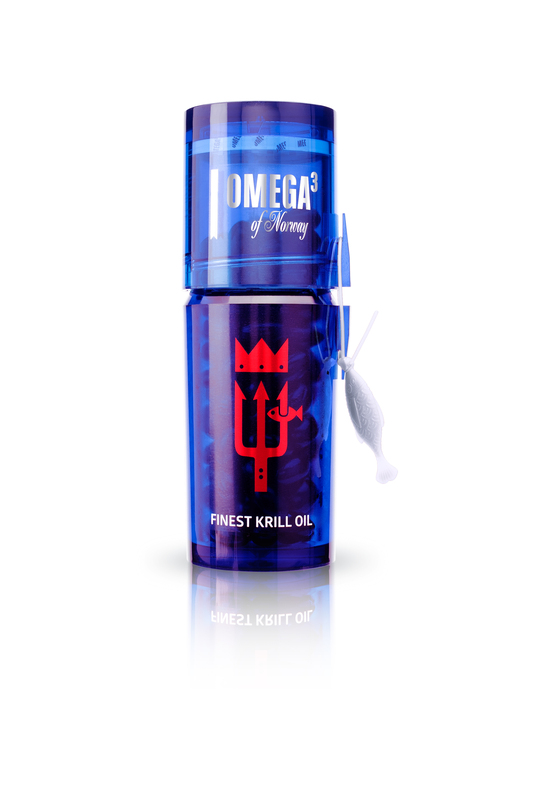 Omega3 of Norway’s Finest Antarctic & Norwegian Krill represents the new guard in omega3 and antioxidants. Krill is a strong alternative source of omega3 fatty acids, due to its powerful antioxidant values. What is red krill oil? What are the health benefits of red krill oil? How to take krill oil? How is krill oil made? Antarctic krill is a small crustacean consumed by sea creatures like whales and penguins. Oil made from krill is an excellent source of healthy omega3 fats DHA (Docosahexaenoic acid) and EPA (Eicosapentaenoic acid). Studies have shown that these fatty acids are linked to a variety of health benefits. The essence of krill is also rich in the powerful antioxidant, astaxanthin, which gives the krill its ruby red hue and helps to enhance the effectiveness of krill as a healthy supplement. Omega3 fatty acids are among the world’s most researched components used for nutrition. Krill and wild water fish omega3 share many health benefits, though the phospholipid nature of krill oil and its antioxidant values gives red krill oil an advantage. Multiple studies also show that the healthy fatty acids in krill oil can help fight inflammation. Due to its high astaxanthin content, food and drug red krill oil may, in fact, be even more effective against inflammation than other marine omega3 sources. The antioxidant is recognized for suppressing free radicals and protects the krill’s Omega3 fatty acids from oxidation. In other words, no additives are necessary to maintain its long-term stability. By examining previously published research on DHA and EPA, a recent study found that consumption of these omega3 fatty acids in food or supplements is associated with 16 percent lower risk of heart disease in people with high levels of unwanted fats in their blood. For patients with high levels of the “bad” LDL cholesterol, the risk of heart disease was 14 percent lower in patients who included omega3 fats in their diet. The effects of red krill oil are also proven to be beneficial for heart health and blood lipids. Evidence suggests that people around the Mediterranean, Greenland, and Japan, who eat more oily fish, have a lower risk of heart disease than people lacking these healthy fatty acids. This is due to the fact that krill oil is effective at lowering “bad” LDL cholesterol and triglycerides while increasing “good” HDL cholesterol. This, in turn, can help to control blood pressure and aid in weight loss. Phospholipids are among the most common fatty acids in our bodies and form the basic components of cell membranes. Lack of phospholipid, as well as lower levels of omega3 fatty acids, are linked to damaged cell structure and decreased fluidity. This can result in cell dysfunction and has also been linked with health conditions of the heart, brain, liver, and joints. As krill oil is rich in phospholipids, it will help carry EPA and DHA into the cells more efficiently. Phospholipids are also soluble in water, which allows the body to absorb the nutritional benefits more naturally. If the body can absorb them more readily, the benefits will reach our cells faster. This also means that phospholipid-bound omega3s form a complete mixture in the stomach, rather than sit on top of the stomach fluids, like some Omega3s like fish oil. As such, most consumers will find it more pleasing. Krill is evaluated constantly by independent studies and is found to contain almost no contaminants. Krill is one of the cleanest sources of marine omega3s on the market today. 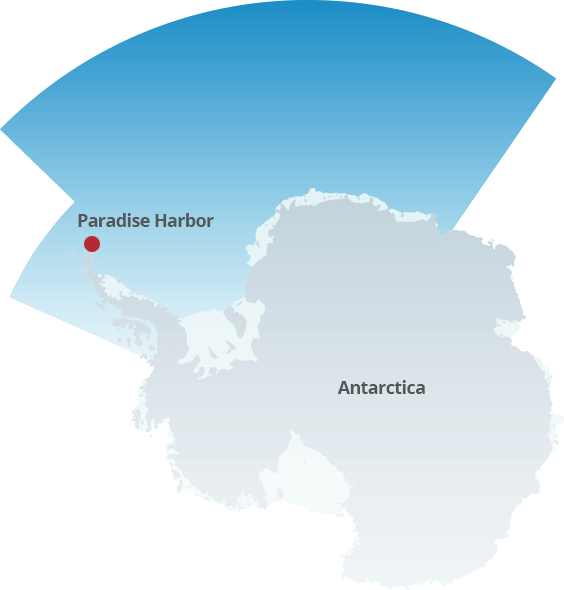 Our krill—the Antarctic krill Euphausia Superba—is sustainably sourced from schools of wild krill in the southern Antarctic Ocean. These are the cleanest oceans in the world. Due to their small size, the krill’s diet consists of algae and minute phytoplankton. and thus it contains next to no pollutants and has a rare natural purity. By having full control over the production—from harvest, processing, and encapsulation—we can guarantee the highest quality krill possible. We have strict levels of quality and traceability assurance in regards to harvesting krill, raw materials, logistics, and processing. Eco-Harvesting® is the latest environmentally friendly krill harvesting tech. Earning its patent-pending Eco-Harvesting® since 2003, by using a specially designed vessel, that includes a unique mechanism that singles out unwanted by-catch (non-krill species) and releasing them. In other words, our krill oil is harvested with the most cutting-edge tech to ensure that only krill is collected, and other fish is left unharmed. Our krill is also certified by The Marine Stewardship Council’s (MSC) as the only krill that is 100 percent traceable. This guarantees sustainability through all stages of the supply chain. Red krill oil does not have any proven side effects, but some problems may occur due to the nature of omega3 fatty acids. While red krill oil is safe for most adults when used appropriately, side effects similar to those of fish oil may occur. When consuming krill oil, those who are allergic to seafood and shellfish may be allergic to krill oil supplements as well. Consult a doctor and watch out for food allergy symptoms like abdominal pain, swelling, and itching. Omega3 fatty acids can slow blood clotting. This, of course, is a positive effect, but it can affect some types of medication, like blood thinners. You may also be forced to stop taking krill oil at least two weeks before undergoing surgery, as the slowing effects the fatty acids have on blood clotting, may have adverse side effects. Again, consult a doctor if you use cardiovascular medication, or if you have any scheduled procedures. Krill is unique as a marine omega3, viewed as a whole food extract that doesn’t require distillation, and has markedly fewer processing steps to achieve its state in a consumable form. Located at the beginning of the food cycle, krill are highly nutritious and almost free from impurities and pollution, even in their original state. No purification or distillation is required, which means krill oil only undergoes very little processing. Krill catches are processed straight from the ocean on board state-of-the-art vessels, guaranteeing that its freshness and nutritional value is preserved. Krill is by far the least sourced of all marine omega3s. The global krill population weighs in at around 500 million tons, but only a fraction of this is harvested each year. 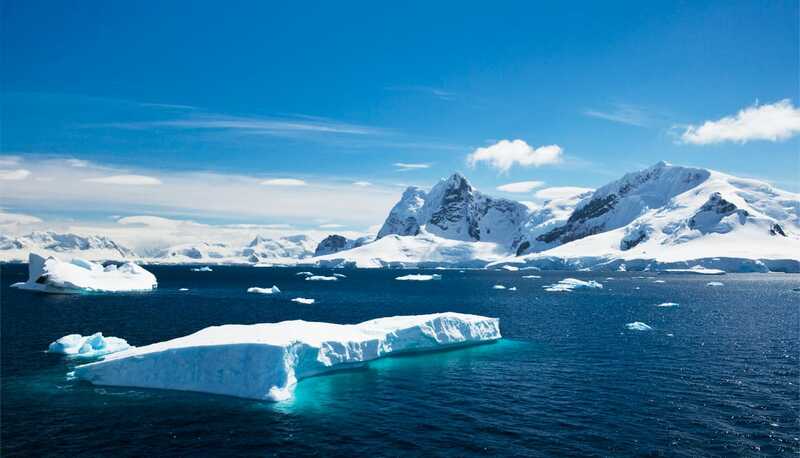 Although krill supplies are bountiful, omega3 of Norway’s Finest Antarctic & Norwegian krill takes extra care to harvest less than 1 percent from the designated Southern Antarctic region. From the harvesting to the delivery of the raw materials and final product processing, the entire process is controlled with complete transparency. 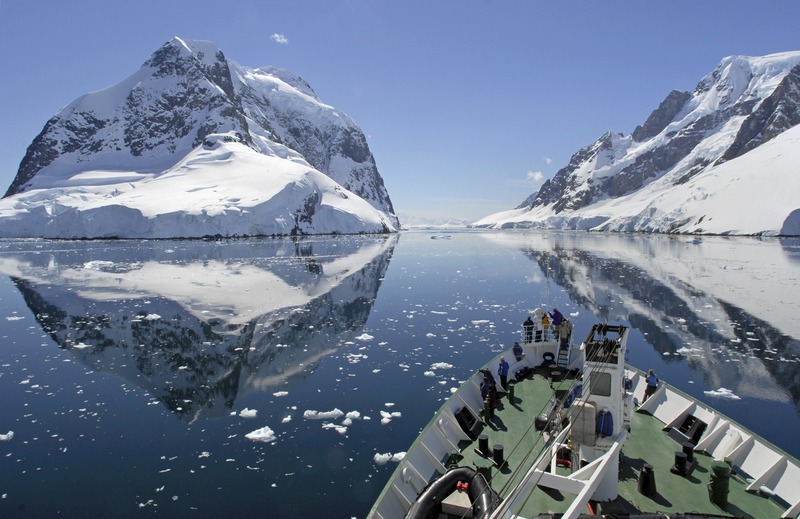 We guarantee a fully traceable chain of production and omega3 of Norway’s Finest Antarctic & Norwegian krill, the finest krill oil of unequaled quality. We use only the highest quality capsules from Swiss Caps with vanilla flavor, with no fishy aftertaste. Our krill is sustainably sourced from schools of wild krill in the southern Antarctic Ocean, the essence of these tiny crustaceans is not only rich in Omega3 also the antioxidant, astaxanthin. This gives it its ruby red hue. Astaxanthin crucially helps to preserve the potency of krill’s nutritional goodness. Due to their minute size, the krill’s diet consists of algae and microscopic phytoplankton, practically free from pollutants and possessing an inimitable natural purity. 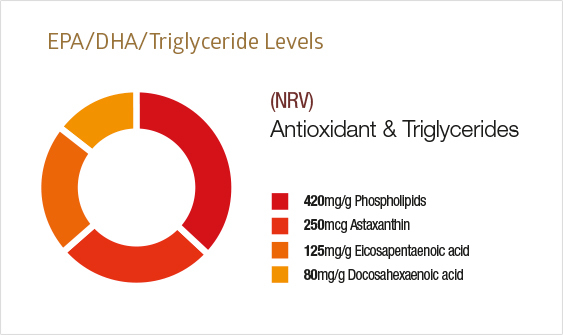 While krill and wild water fish marine Omega3 share many health benefits, it is the phospholipid nature of Krill Omega3 and the antioxidant values from Astaxanthin which enhance the krill’s nutritional values. The Phospholipid nature of Krill oil allows the body to absorb the nutritional qualities naturally. Phospholipids occur naturally in the body, in the same way as triglycerides and form the basic components of cell membranes. However, phospholipids are soluble in water, which gives phospholipid Omega3‘s an enhanced bio-efficiency. They are more readily absorbed by the body, which enables their benefits to reach our cells faster. Located at the beginning of the food cycle, krill are highly nutritious and almost free from impurities and pollution, even in their original state. No additional purification or distillation is required, which means krill oil only undergoes minimal processing. Krill catches are processed directly from the ocean on board state-of-the-art vessels, guaranteeing its freshness and nutritional value is preserved. From harvesting to the delivery of the raw materials and final product processing, the entire manufacturing process is controlled with complete transparency. 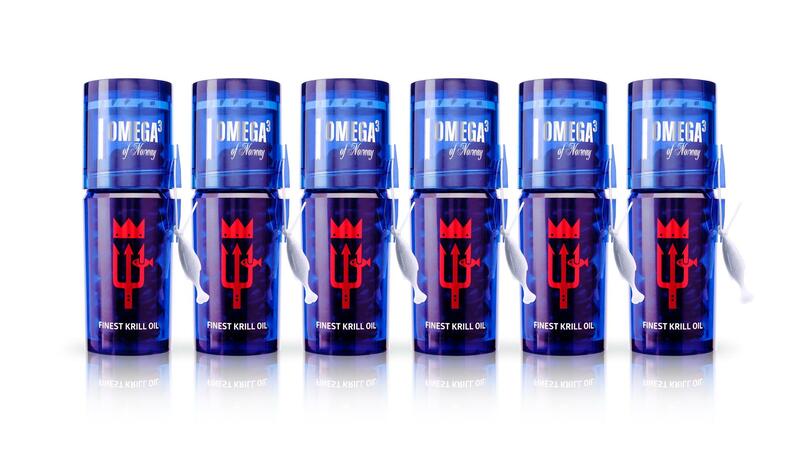 A fully traceable chain of production and you have Omega3 of Norway’s Finest Antarctic & Norwegian krill, the finest krill oil of unparalleled quality. Krill is by far the least sourced of all Marine Omega3s. The global krill population approximately weighs in at 500 million tons, but only a fraction of this is harvested each year. Although krill supplies are bountiful, Omega3 of Norway’s Finest Antarctic & Norwegian krill takes extra care to harvest less than 1% from the designated Southern Antarctic region. Taking advantage of a patented Eco Harvesting® method since 2003. This harvesting technique uses the most cutting edge technology to ensure that only krill is collected, leaving other fish unharmed. Full control over the production of krill, from harvest, processing, and encapsulation. Controlling the entire supply chain, harvesting krill, raw materials, logistics and processing specifications, auditing, comes with the strictest levels of quality and traceability assurance. Guaranteeing the highest quality krill possible. Is the latest environmentally friendly krill harvesting technology. Earning its patent-pending Eco-Harvesting® technology since 2003. Using a specially designed vessel, incorporating a unique mechanism that singles out unwanted by-catch (non-krill species) and releasing them. Krill is evaluated continuously by independent studies and found to contain virtually no contaminants. 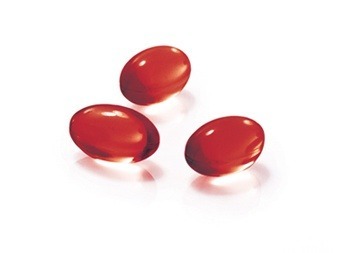 Krill represents one of the cleanest sources of marine Omega3s on the market today. Certified by MSC as the only krill that is 100% traceable. The Marine Stewardship Council’s (MSC) guarantees sustainability and throughout all stages of the supply chain. Krill is unique as a marine Omega3, considered a whole food extract – without requiring distillation, and having significantly fewer processing steps to achieve its state in a consumable form.